Early last week, I went for a very early stroll in Camden Town following, I have to admit, an even earlier interview hence I took the opportunity to visit the market. It was lovely to see it when all the tourists are still in their hotel room and you can actually enjoy Camden Town market mostly empty without fighting your way in. If you're a Londoner like me, you probably understand what I mean. 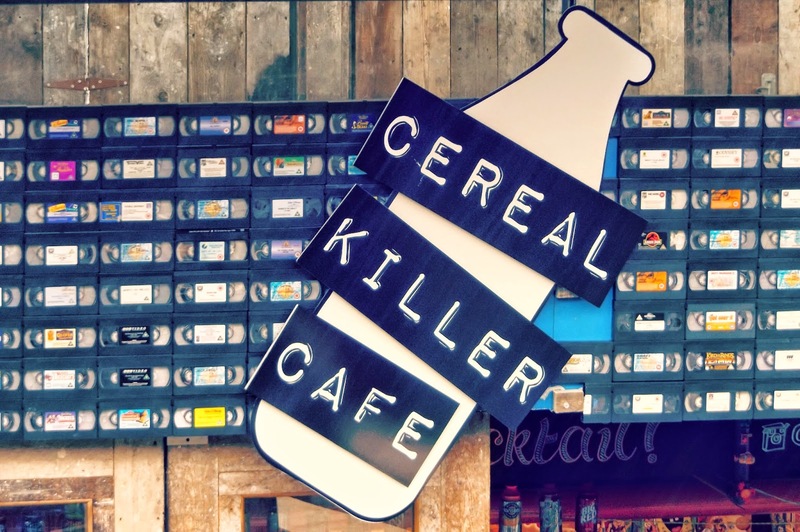 While browsing through lots of vintage, music and exotic food stores getting ready for the day ahead I came across the Cereal Killer Café. 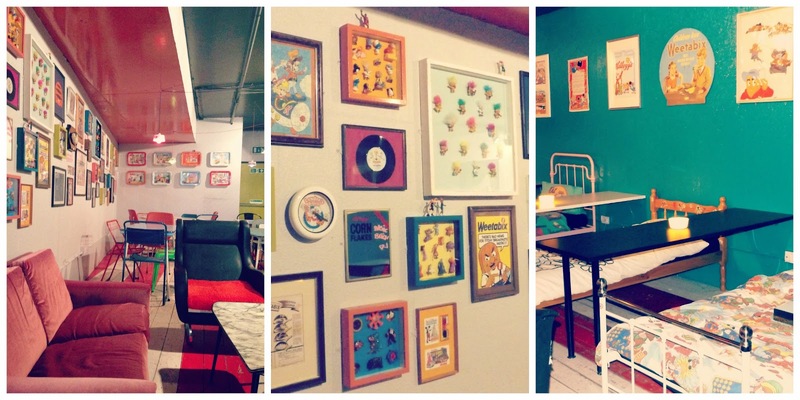 This is the first café of its kind based in Shoreditch which I heard about on many occasions but have never tried it. So seeing one in Camden Town was rather a lovely surprise. After a quick little chat with one member of the staff I learned that this shop only recently opened and is from the same owners who opened the one in Shoreditch. They offer 120 types of cereal from all over the world, 30 types of milk and 20 types of topping, yes you hear it well you can top your cereal with yummy and sugary goodies such as party rings, mini marshmallows or even happy hippos. They even offer a cereal cocktail menu so you can choose from the Unicorn Poop to Feckin Nut Case and lets not forget Trife Up Your Life ! Haha! I was loving it because I was right in my silly and childish element. I was really tempted to try the Unicorn Poop but I wasn't ready for the high level of sugar because you see it was a mix of Ricicles, party rings, fluff, marshmallow and hundreds and thousands!! wow ! So I created my own cereal mix instead which was also an option. I know I am such a looser. While enjoying my crazy cereal mix I was loving the 90's TV tunes such as Saved by the Bell and Prince of Bel Air, it remind me of my younger self coming back from school and enjoying those TV programs that we all loved. The decoration was awesome too, as you could guess it was all about going back into our childhood. You could sit on bed ( yes an actual bed!!) which had a Ninja Turtle duvet cover and look at all the memorabilia on walls from toys that we used to get in cereal boxes (why don't they do them any more?!) to our favourite cartoon posters. I really loved the experience, it was silly and fun and I would happily go back again or perhaps try the one in Shoreditch. 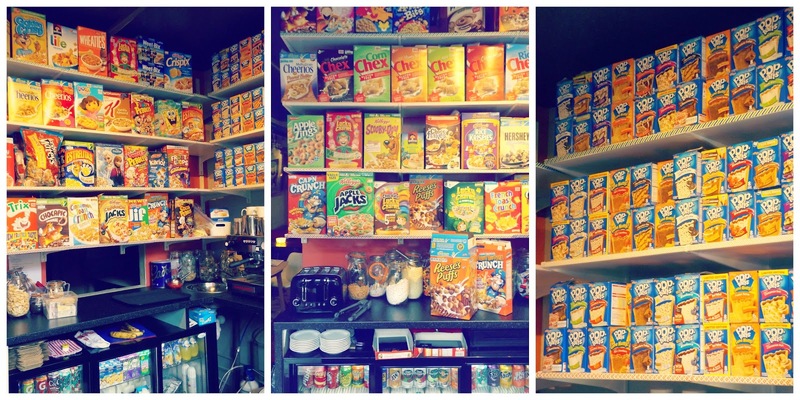 If you re thinking to try for yourself just check Cereal Kille Café site for addresses, menus and more. 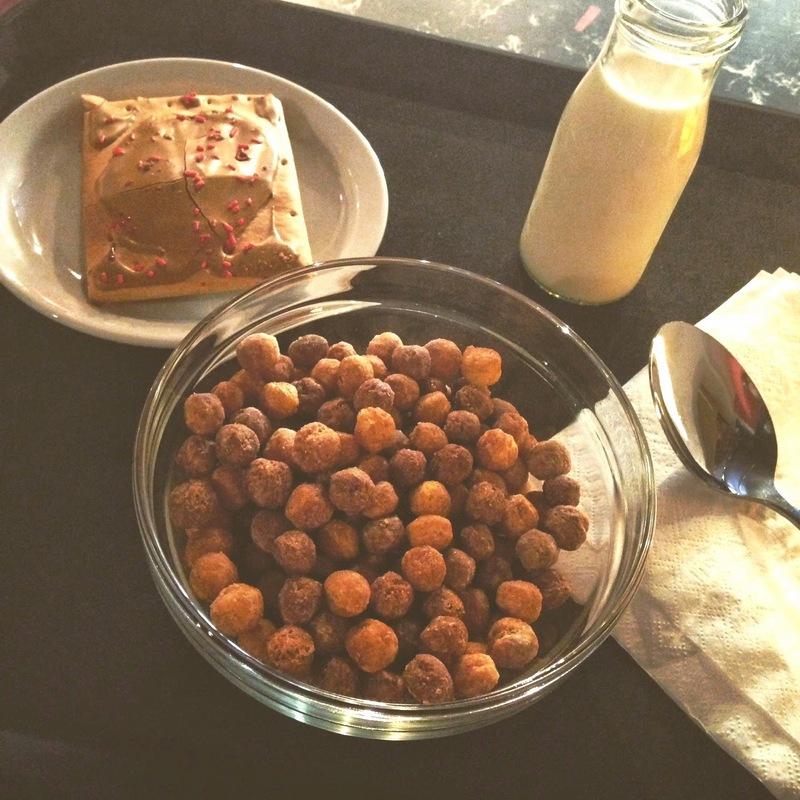 Do you think you would like to try Cereal Killer Café?